Cuban-style pork is a perfect recipe for slow-and-low cooking. This recipe yields pork with a delicious blend of citrus and garlic that works well in sandwiches, tacos, or next to beans and rice. Serve this with rice and beans, in tortillas, or in a Cuban pressed sandwich. Per Serving: 585 calories; 44g fat; 6.9g carbohydrates; 41g protein; 153mg cholesterol; 384mg sodium. Really delicious, tender, slow cooker pork. I've made this a few times and served it with nachos, tacos, and I think pulled pork fries too. The cumin gives it excellent, authentic taste. Definitely one of my regular recipes on rotation! 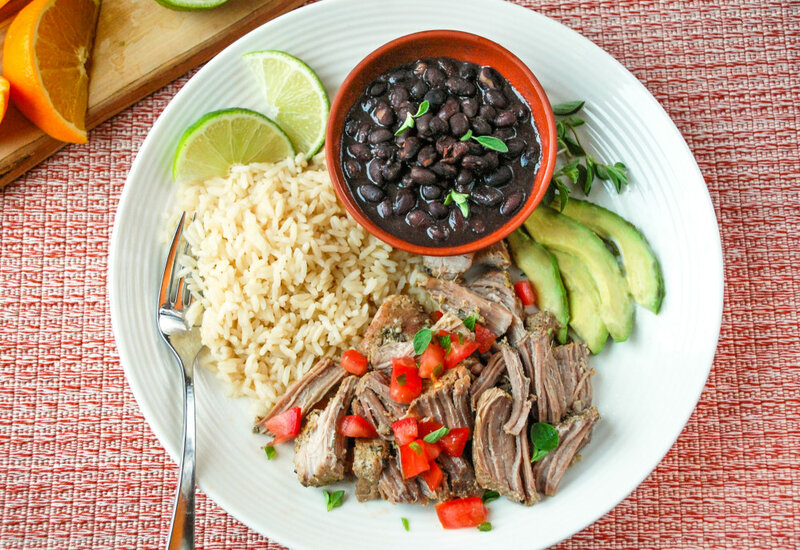 This slow cooker Cuban pork was very good! I had mine with black beans and brown rice. It also makes a lot, so perfect if you have some friends over. They will be super impressed with your skills!